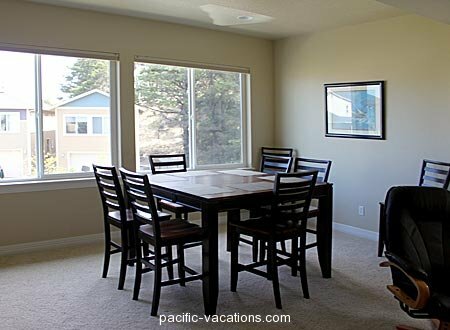 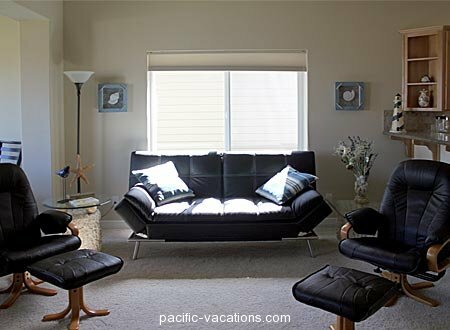 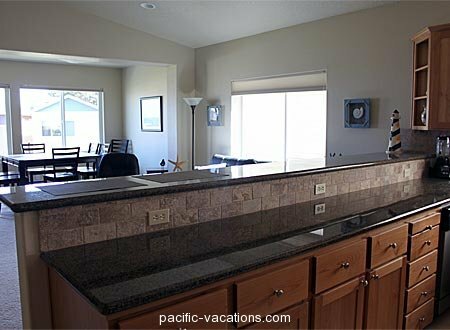 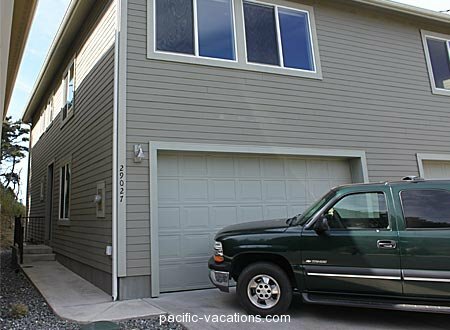 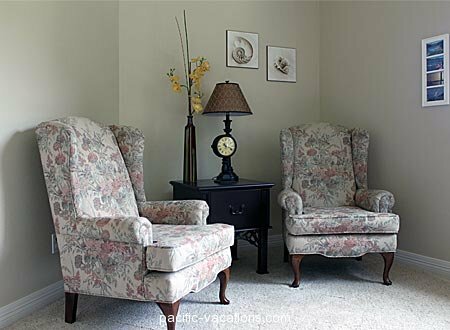 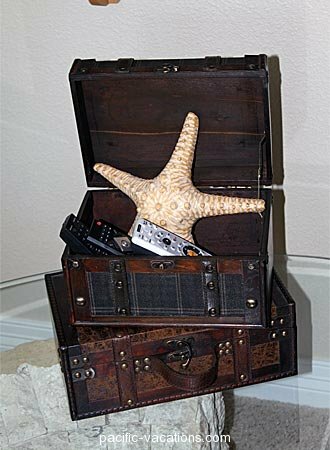 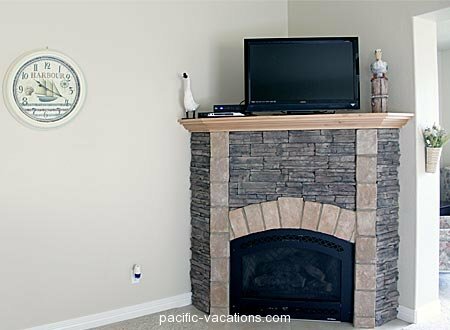 Furnished in black leather with a subtle European flair, you’ll have all of the benefits of vacationing on the Southern Oregon Coast with many upscale luxuries. 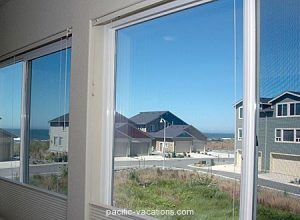 You’ll find this ocean view home situated across from and near to a natural green wetlands area in the shadow of a lovely tree line giving you the feeling of natural Oregon forests while still being oh-so-close to the ocean. 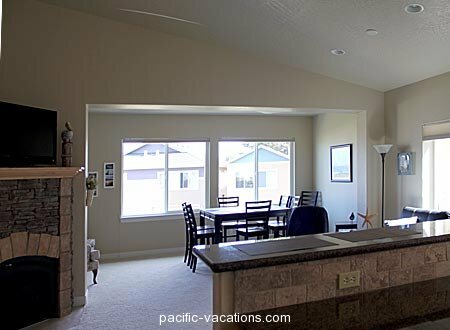 The oversized great room is on the second floor with an open floorplan flowing from the modern kitchen with granite countertops, stainless steel appliances, and hardwood cabinets to the spacious living room featuring a gas fireplace and satellite/cable television, to a dining area nicely appointed with an elegant dining set, and finally to a lovely seating area tucked into the corner – with english antique overtones. 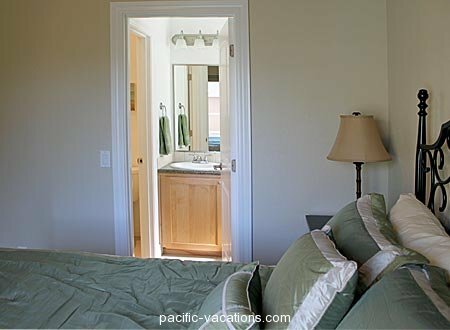 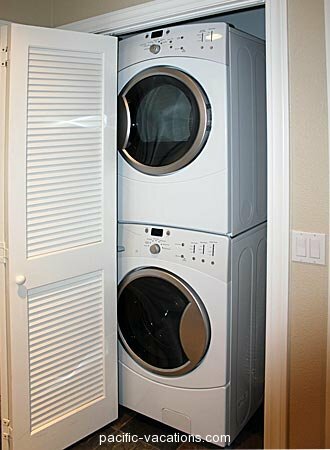 The downstairs features two bedrooms, a full bath, stacked laundry equipment, and a two car garage. In addition to the main living space upstairs, you’ll also find the master bedroom with jack-and-jill bath and a living room with a sofa sleeper for additional sleeping space. 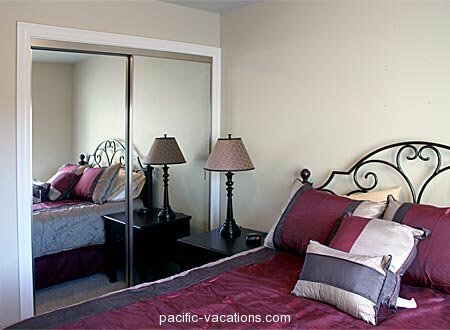 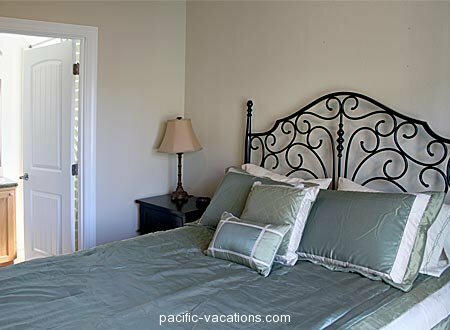 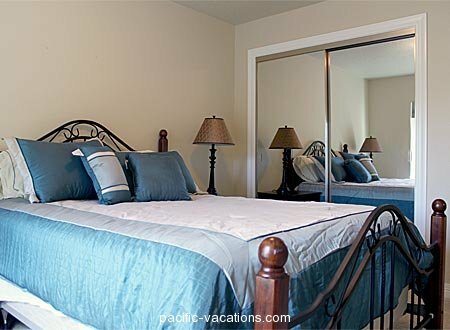 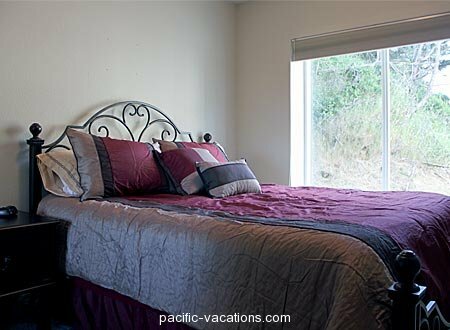 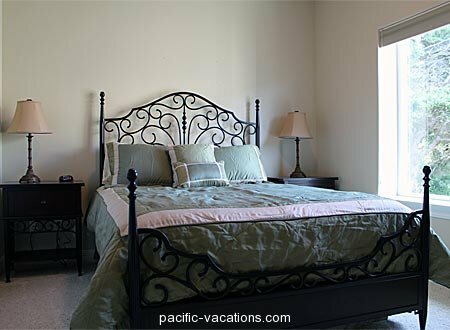 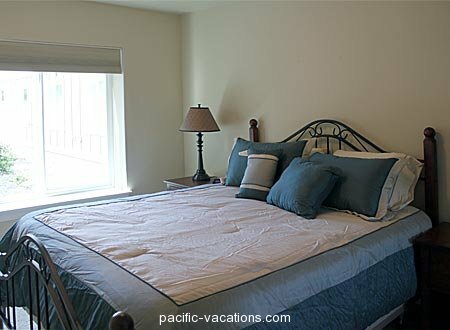 All of the bedrooms are furnished with plush queen sized beds and modern furnishings. 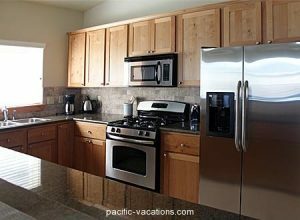 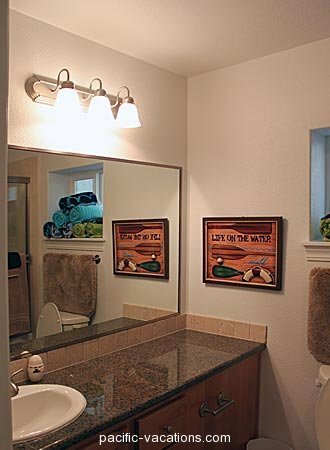 The home features many special touches throughout – slate flooring, oversized soaking tubs, tall doorways with solid doors, and of course the convenience of being just a short distance to the ocean. 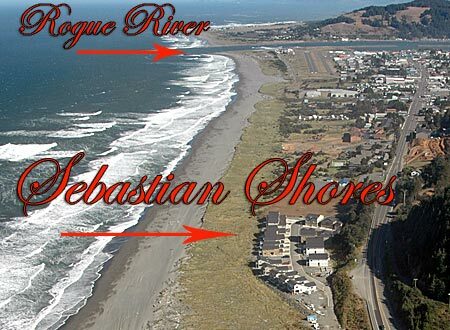 Just walk down the short loop to the beach path and stairway to the dunes. You’ll soon be inundated by fresh ocean air and the pounding of the surf. 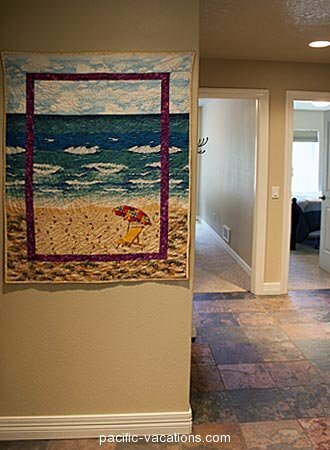 Walk for miles along a sandy beach to collect agates or seashells or driftwood touches for your garden back home. 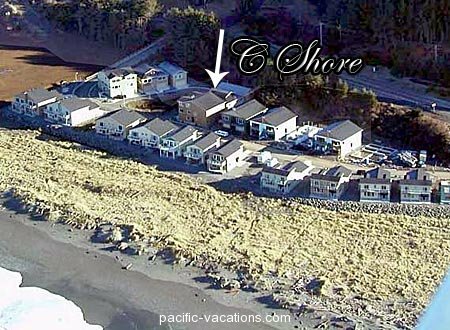 C Shore has it all!